Marketing Consultant & Teacher. 🐉🌸 Co-host of @WPblab & co-organizer of @WomenWhoWP. #MakeWordPress Marketing Team Rep.
Every Easter I like to make my song “Behold the Lamb” available both as a mp3 download and a pdf chart. Admittedly, since Easter is March 27, 2016, I’m a bit late this year. I do this as a service to other worship leaders and for congregants. I’ve made this song free forever to download on Soundcloud and free for now at CDBaby. You can download the pdf chart free, too. I’ve never really been especially proud of this song which is quite ironic. It was one of the first songs I wrote. Working at Calvary Chapel San Juan Capistrano at the time in Children’s Ministry, it was my habit to walk around campus praying and singing. That’s when this song was written. Actually, it’s because of this song that I was asked to be part of the worship team for the Easter Sunday Service and I remained on the team. Being on the worship team is what gave me the opportunity to work with Chris Falson, who produced this CD. Mercier adores this song and I hope that you enjoy it as well. If I waited for perfection, I would never have anything done. As it is, this is an 11-year-old recording of a song that I was reminded of this week. Scripture songs are a great way to memorize God’s word; I remember reading through the Psalms and I just got stuck on these three verses–so here is the song. I recorded this in 2000 when I was freaked out and nervous to make this recording on my friend’s four track recorder (pre GarageBand). This was one of the candidates for my first CD. My disclaimer is this: I love the chords for the keyboard and it’s in the Key of B. That said, this is a horrible recording that should be gonged. However, I decided to make it easier for me to play on guitar capo on 2nd or 3rd fret. I will make a new demo that’s worthy of the melody – for now, here it is. Graphic Art by Quincy Follweiler. 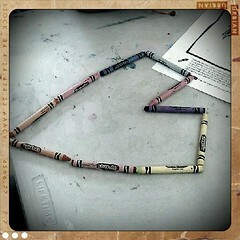 To encourage me, he designed album art for my sophomore CD. I have several songs that remain un-recorded (at least professionally) that can be found on SoundCloud. It was written during a very difficult time in my life where I was changing churches, careers, and was totally unsure of my calling. This is often when we think God hasn’t heard us. Listening to it tonight in my iTunes library I felt encouraged. I’d love to really do justice to this song, but for now this live recording is from November 3, 2006, at Calvary Chapel South Bay’s Cafe will have to suffice. The sound was far from perfect and I had actually lost my voice so in some respects I’m embarassed at the throaty-ness, etc. But, it’s the only recorded version. My hope and heart’s deep desire for 2010, above politics and anything else, is for all of my friends and family to know Jesus and to be known by Him. 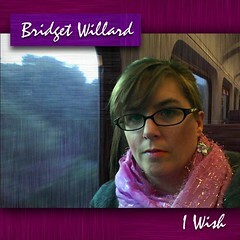 You can listen to a video of the song below or buy the CD/mp3 at CDBaby.com or at iTunes. Personally, I like the original version of the song. There is no greater compliment to a songwriter than to have a jazz band cover the melody. 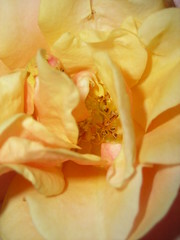 This is a recording from Cornucopia Jazz Project, a band in southern Florida, from 2006. Here is the original version from my CD, Come Away. There is also a video on my youtube channel. 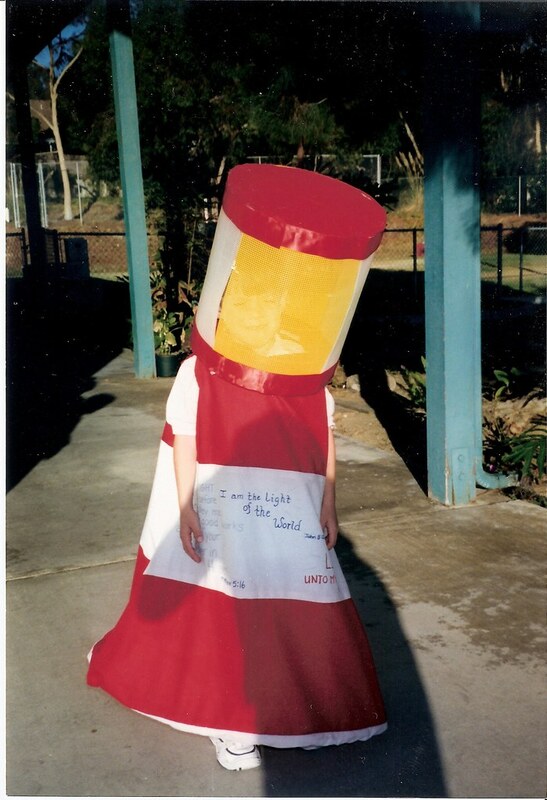 When my grandson was six and a student at Lighthouse Christian Schools I was commissioned to help him dress up as a Lighthouse for School Spirit Week. 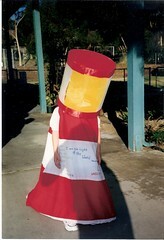 We ended up making quite a cute costume and wrote verses on it with a fabric marker. I made up a little diddy of a song and marched around the house. That was great fun. This week at our outreach, Psalm 119:105 is our memory verse, so I thought I’d get a simple demo recording of it, show you the original costume, and pass along a great memory. You can get the simple chart here. I wrote this song during a prayer meeting when I lead worship for the Tuesday night meeting at (then) Calvary Chapel Laguna Niguel. The lyrics still ring true to me: we need Him to fill us, heal us, and free us. WARNING: THIS IS A DEMO. My official disclaimer is that I wanted to record this; I wasn’t happy with the live version that I’ve previously posted. Posting it will make me accountable to change the guitar part (at LEAST) in Garage Band, eventually add more percussion and keyboard.